As winter hits us all over the country, so is cold and flu season which leaves many of us running to the pharmacy to pick up over the counter medicine. The pharmacy luckily is lined with rows of remedies such as cold and cough syrup allowing for brief relief, especially to sleep. Our question for you is, have you ever read the ingredients for the cold medicine you take? Here we’re going to discuss what’s in the medicine that you take during flu season and how these cold medicine side effects affect you. What’s in cold & flu severe medicine? Together, these medicines can help treat headaches, fever, body aches, cough, congestion in the chest nose and sinus as well as the common cold and flu. It’s important to read the label and instructions to make sure that you aren’t taking more than recommended. Make sure to visit a doctor if the symptoms are still severe after three days and get a medical evaluation. The rule to follow is if anything becomes severe, it’s best to visit the doctor. Taking nighttime, or PM, medicine during the day is a very easy error. It’s possible to so urgently need medicine that you completely miss the sign for PM on the bottle, or don’t even realize. 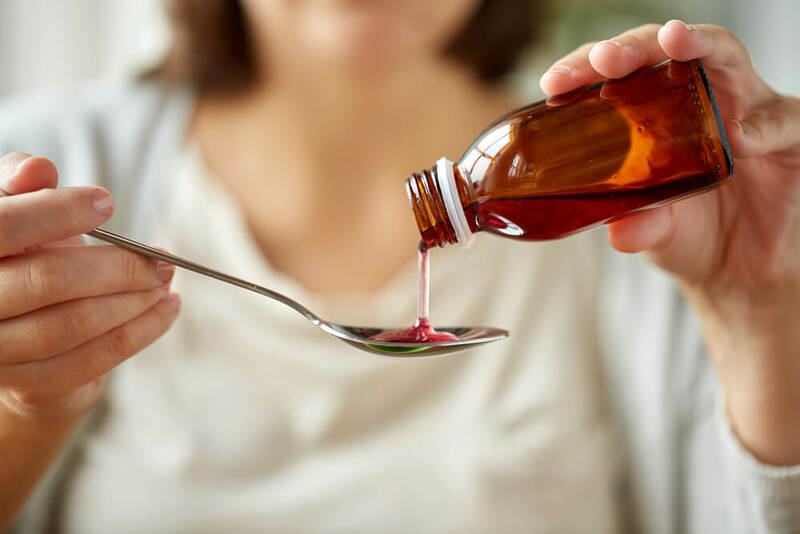 Cough syrup side effects can be felt more in the PM doses because of the active ingredients that make you sleepier. The common cough syrup side effects cause drowsiness, dizziness and blurred vision as well as the symptoms listed above. Taking PM medicine during the day can have adverse effects on thinking and general safety as stated on most medication labels and since it makes you drowsy avoid activities that require alertness. The same thing goes for if you accidentally take PM medicine during the day, try to stay away from driving and other activities that require being alert. Let someone know that you have taken the medicine, if you are not at home, and stay home if you can until the length of the dose ends.